Getting into the driver’s seat after a long break can be daunting for many drivers. A large proportion of people learn to drive but do not have access to a car until long after they have passed their Driving Test. 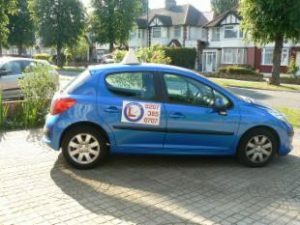 Refresher driving courses are an ideal way for people to regain their confidence on today’s increasingly busy roads prior to them going out on the roads solo. The courses can also benefit any driver who is accident prone and wishes to reduce or eliminate their vulnerability of accidents by becoming a better driver. Benefits of taking a refresher course can be enormous, in terms of road safety, because you will be supervised by a trained professional, who will guide you through every aspect of safe driving in a relaxed friendly manner. As you progress through the training program, your instructor will help you to highlight the weaker aspects of your driving and will provide targeted coaching, so that you can overcome your weaknesses and apply your skills in an organised, stress-free manner. How long will the course last and how much will it cost? The length of the course and cost will depend upon your current standard of driving and the level you wish to attain. The course can be as little as two hours, with an assessment and general guidance on how to improve your driving, or it can be a full training course designed to improve your driving to an advanced driver level; the choice is yours. In most cases our clients tend to take four or five sessions of two hour duration, with the aim of bringing their standard up to the modern driving practices. A major part of your training will involve developing a sympathetic driving style leading to savings on your fuel bills, maintenance costs and reduction on atmospheric pollution. Apart from correcting your vehicle control and procedural errors you will learn how to actively anticipate, plan and prioritise for developing situations and manage the risk of an unforced error. You will also be taught to drive with due consideration for other road users including cyclists and pedestrians. If you are planning to start driving after a long beak and are unsure of your ability or you keep having accidents (regardless of who was to blame) it is probable that you need some remedial training.